This special on-road tyre offers comfortable drive with much reduced noise. 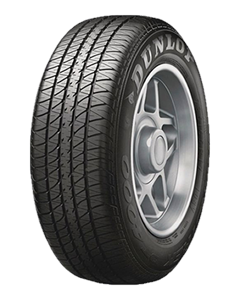 The summer tyre from Dunlop is also designed to offer good performance on wet road as well. The tread pattern of the tyre has four circumferential grooves with high aquaplaning resistance. For gaining high speed stability this tyre has broad centre rib and for precise vehicle handling the tread pattern has closed shoulders. The zigzag patterns in the tread channels the water and Grandtrek PT 4000 has comfort grooves to ensure the best comfort. Sorry, we currently do not have any tyres with the Grandtrek PT4000 pattern in stock.